This gorgeous girl was a find by one of my friends, but it needed some TLC! I somehow managed to not get a "Before", but the after is a gorgeous Cinderella Story! I painted it with Annie Sloan Chalk Paint in Primer Red, sealed it, and accented with dark wax. 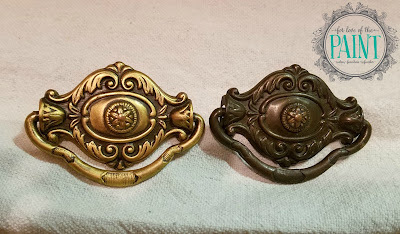 The hardware is absolutely stunning, but the dark bronze color faded into the background, so I made it pop with a little gilding wax. I think it's absolutely drool-worthy now!! To make the antique drawers glide a little better, we rubbed both sides of the wood rails with beeswax, and also sanded down the bottoms of the drawer faces a bit. These quick steps made a lot of improvement to the functionality! And just check out the before and after on this hardware! It takes practice to get used to using a light hand, but I think it's simply beautiful with a hint of gold! Rub N Buff takes just seconds but makes an enormous impact. Do you have a favorite method of updating hardware you'd like to share? I'd love to give them a whirl and report back! Hi Cyndi, some people prefer to just thoroughly clean their hardware, and that can be a gorgeous look! 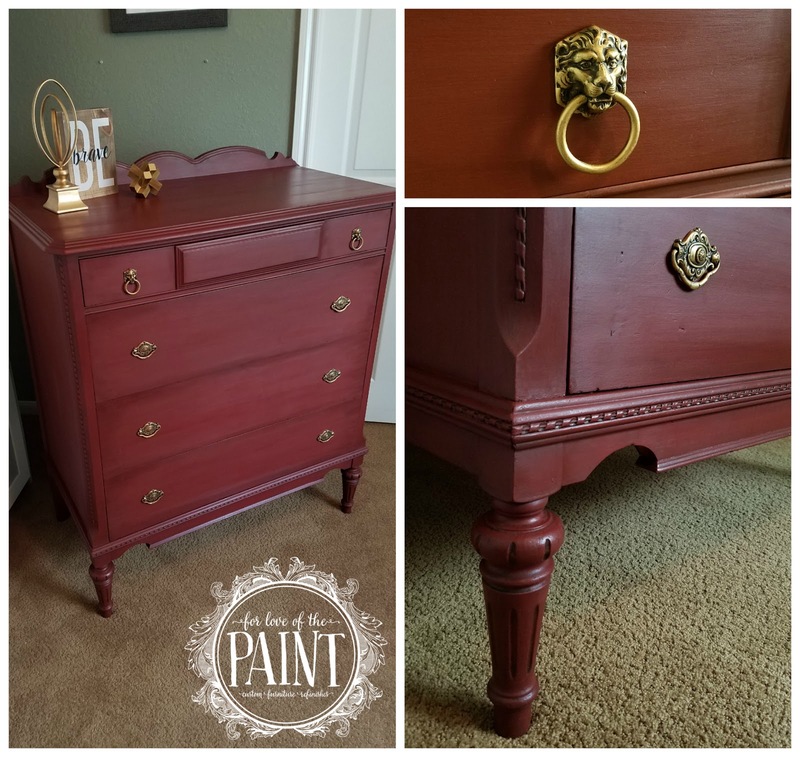 Lately, however, I've been using Rub N Buff to update hardware, since when you apply it lightly you can leave some of the original color for depth (like I did with this project), whereas a spray paint fills in all the little nooks and crannies. My best advice is to apply it lightly and quickly, since it dries fast! Finish and area and move on, since if you keep coming back over a space, it will buff to a brighter, smoother color in just that area. You might also try a practice run on the hardware from a smaller piece before you commit to your grandmother's set. Have fun!